Telecom Italia (TIM) has struck an agreement with Amazon to launch the Amazon Prime Video subscription video-on-demand service on the TIMVision set-top box. 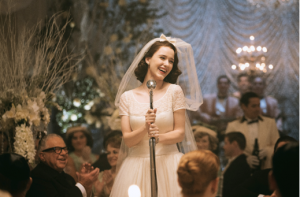 The addition of Amazon Prime Video to the TIMVision offering will bring Prime originals and other content to TIMVision customers that have subscripted to Amazon Prime, including The Marvelous Mrs. Maisel, Tom Clancy’s Jack Ryan, The Grand Tour and Homecoming. Access to the Prime Video catalogue will be available via the Android TV-based TIM box’s search and recommendations options, with a selection of Prime original series available directly via the TIMVision catalogue. In addition to Amazon Prime Video, TIMVision offers a selection of streaming services on its box including Netflix, DAZN, Eurosport and its own TIMGames offering. “This agreement once again confirms our will to strengthen TIMVision’s offer. We are the streaming platform with the widest-ranging library and we intend to pursue more and more alliances with the market’s key players. Today we add further value to our programming by adding the contents of Amazon Prime Video to the major sports events, the exclusive previews, movies and TV series that are already available on TIMVision. Enjoying the most popular programs is made even easier for our customers,” said Daniela Biscarini, head of multimedia entertainment and consumer digital services at TIM.